This entry was posted in Australia and tagged 2015 Australia Australia Immigration Immigration migration on August 14, 2015 by Blog Author. It is a known fact that Australia is the nation of immigrants. This is a vast continent with overall 23 million populations of which 7.2 million are migrants of 200 different countries. it is extremely popular among all other countries, the dream destination for many highly skilled youngsters those who are wishing to make their career fruitful and flourish abroad. The country’s economy is firm and promising the process the immigration for the skilled migrants from overseas. 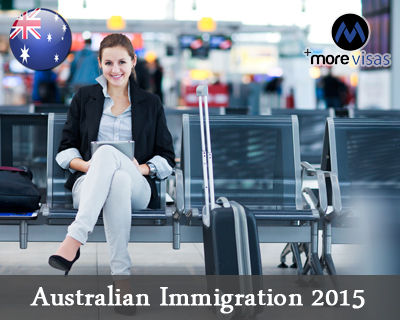 Those who are willing to migrate to Australia are evaluated based on their points secured in the point based system. There are certain changes that took place in the Australia immigration program which was announced by the minister for Immigration and Border protection. The Minister of Immigration, multi-cultural affairs, settlement services and border protection have announced some changes regarding the immigration program in order to prevent unlawful entry and prevent the country from illegal persons who have settled in Australia. Based on this they have introduced some permanent migration places for the years 2015-16. There are up to 190,000 available permanent migration places this is included in the budget of May 12th, 2015. Although the entire program remains the same, but there are few changes taken place in effectively introducing Orphan relative and child category visas. These child visas are no more not included in the managed migration program. This is to improve and reform the processes relating to inter-country adoption. By the year 2019-20 this program will have full demand and is carefully monitored by the government. 400 places are allotted to the Orphan Relative visas which will now be a part of the other family category within the Migration program. These changes in Australian Immigration 2015 are to reform the country and make alert from the illegal migrants those who settled in the country long back. If you are interested, pleases fill our Enquiry Form, so that one of our visa expert will get back to you.